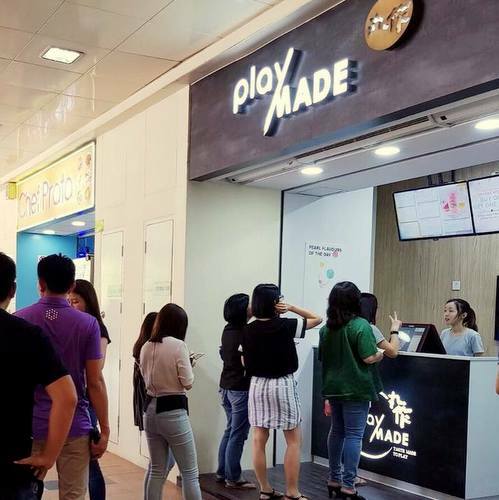 Taiwanese bubble tea brand Playmade has four tea rooms in Singapore, including one within Tampines 1 shopping centre (10 Tampines Central 1). PlayMade, which originates from Tainan, Taiwan, is a popular tea brand that takes pride in ensuring that everything on the menu is made by hand, and with all-natural ingredients. 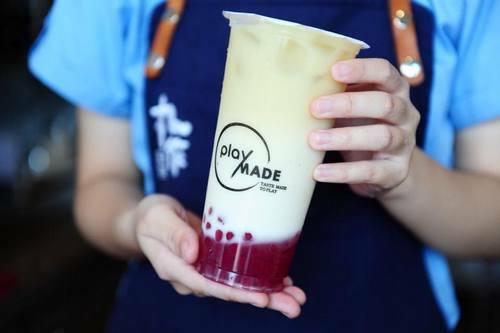 Highlights on Playmade’s menu include Wintermelon Tea, Burnt Caramel Tea Latte, Cocoa Milk Tea, Green Milk Tea, Yakult Taiwan Green Tea, Passionfruit Pulp Green Tea, Jasmine Green Tea, and Grapegruit Honey Green Tea. The official Playmade Facebook brand page is located at www.facebook.com/playmadeonezo/. You can also follow the company’s official Instagram account, which in turn is available at www.instagram.com/playmadeonezo/.